Your water rates are easy to overlook when you’re checking your monthly bills. They don’t swing to extreme highs and lows like electricity and petrol can, so it’s no surprise that the average person never tries to cut down their rates - most don’t even understand how they can do it. The actual water itself is only part of your water bill, but it can be tallied up in two different ways. If you don’t have a water meter (which is unlikely if the building is relatively new), the charge will usually either stay at a flat rate or increase based on the value and size of the property. You might find yourself overpaying for water, especially if the buildings only staffed by a few people at a time, so a meter would make a worthwhile investment. If you do have a water meter, though, the rate will always be based on how much you’ve used. 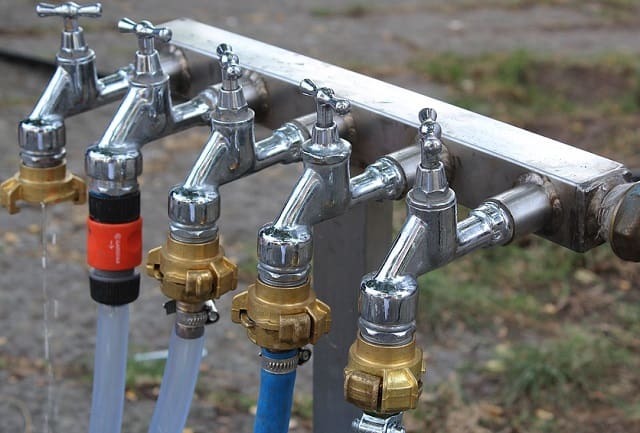 This can be great for smaller businesses and offices, but you’ll need to be careful about leaving taps running or neglecting leaky pipes – both of these will cost you in the long run. Factories and larger business buildings might get their own rates if they use enough water per month, but this won’t be available to smaller or less production-focused companies. As a side note, it’s worth remembering that older meters won’t have the ability to send information back to the provider, whereas newer ones often will. If you’re not using a digital meter and they can’t find the physical meter on your property, they’ll estimate based on whatever information they have. If you’re worried about being overcharged, make sure the meter is visible (or clearly marked, if concealed) and isn’t hidden behind any too-heavy-to-move objects like a van or storage crates. Water that leaves your premises and goes into the sewage network also contributes to the bill, but not many people are even aware that this makes a difference. Using grey water (water that’s dirty but still good enough to re-use) can help keep this down – you could install a whole system to recycle waste water, or just use some of your bathwater to hydrate plants in your garden. Either way, this will usually slash the outgoing costs a little bit. ‘Trade effluent’ is similar, but refers to water that’s too contaminated to be used for much else. It’s a separate charge that usually applies to factories, workshops or anywhere else that deals with dangerous chemicals and oils: usually things that can’t be filtered out or separated easily. Trade effluent is calculated through the Mogden Formula, so it won’t follow the same rules as your ‘regular’ water. Aside from volume, the actual cost depends on a variety of factors, mainly how it’s disposed of at the end of the drainage pipe and how concentrated the chemicals are. Your property is considered your responsibility, so drainage is considered part of your building’s water system, even if it’s completely disconnected from the regular pipes. This means that any rainwater or dumped wastewater also counts towards your monthly rate, so rainwater harvesting and flood prevention can save you quite a few pennies in the long run. Keep this in mind if you’re thinking of pouring water into the drains rather than flushing it the normal way – you’ll still be charged, and you might end up with an even larger bill depending on how you do it. I hope you enjoyed this article about what businesses need to know about understanding water budgets and billing. Interested in more articles from the Bootstrap Business Blog?